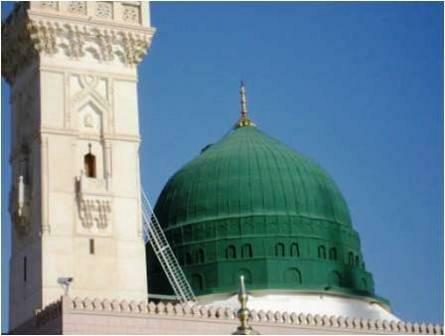 Total stay in Madinah maybe restricted to no more than ten days by the authorities if you go after Hajj. 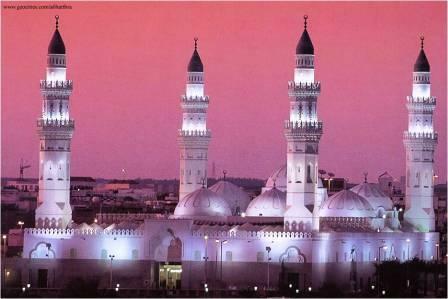 Your travel agent's representative will have already been in Madinah well before your arrival and you shall have his contact details before your arrival. Hand over the white business card to him as it will now be his reponsibility to keep track of your passport and onward travel arrangements leaving you totally free to concentrate on your Ibaadaat. Your travel agent will keep you updated as to the events that will take place for your group such as Ziyaaraats, lectures, departure to Makkah, etc., during your stay in Madinah. All these notifications shall be posted on the notice board at the reception of the hotel. Please make it a habit to keep a keen eye on this board in order to avoid unnecessary and avoidable stress. 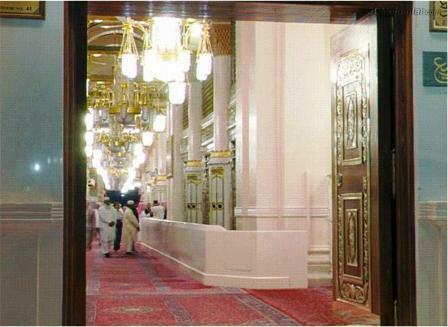 There are specific entrances for men and women, unlike in Makkah. Women entrance door numbers are 13, 14, 15, 16, 17, 21, 23, 24, 25, 26, 28, 29 and 30. 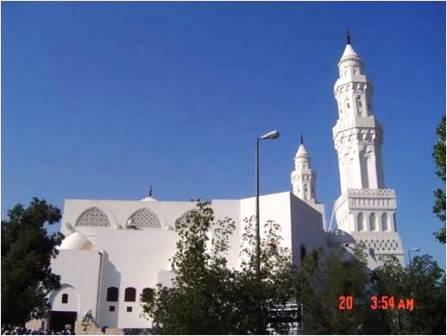 Bab Uthman & Bab Umar are the northern entrances, while Bab Ali is the eastern entrance and Bab Abdul Majeed the western entrance for ladies. Young boys, irrespective of age, (except for infants in arms), are not allowed with their mothers to enter the female section of the Mosque! Rooftop access of the Haram is restricted to men only and is via escalators and staircases located near doors number 6, 10, 15, 27 and 31. Wheelchair access is easy as all the major doors have ramps i.e. 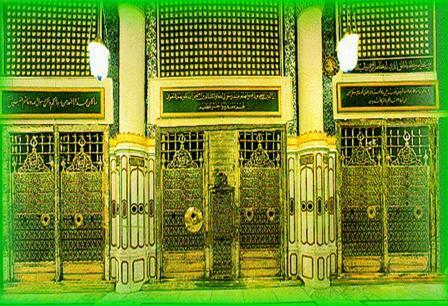 King Abdul Aziz Door, King Saud Door, King Fahd Door, Al-Hijra Door, Quba Door and Bilal Door. A specialised administration in the Prophet's Mosque has been set up to supervise the organisation and distribution of wheelchairs. As for the hired wheelchairs, licenses are given to those who hire them and their assistants. This is done under the supervision of 120 employees working in the Wheel Chairs Administration round-the-clock to guarantee the quality of the service offered to Muslims who perform Umrah or Hajj or any visitor to this sacred place. Translation of the Friday and Eid Khutba into sign language for the deaf takes place near the Quba door. Six escalators, in addition to a number of lifts, are provided in the Prophet's Mosque, in case of an emergency. These are dotted all around the Haram and are located at an underground level. Women’s facilities are near doors number 12, 13, 21, 23, 24, 25, 26 & 29 while men’s facilities are near doors number 1, 5, 6, 7, 8, 14, 16 till 21 (inclusive), 32 & 38. Some of the toilets in the surrounding courtyard have been designed to meet the needs of people with disabilities. 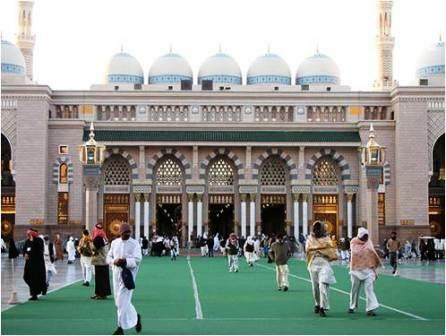 The Haram is now open twenty four hours daily irrespective of the Islamic month, unlike in the past. 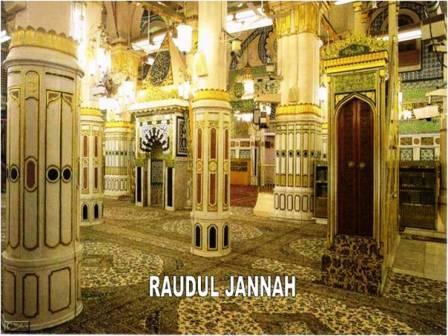 However, during the Hajj of 1432, some Hujjaajj have reported that doors were closed between midnight and 02:00hrs. After Esha do not rush to go for supper, shopping or to the Roz-e-Mubaarak, but stay in the Haram, engaging oneself in Zikr etc. for about 10-15 minutes, then proceed to the Roz-e-Mubaarak - usually this tends to be one of the quieter periods at the Roz-e-Mubaarak. If meals are not included in the package then there are many take-aways, restaurants, etc. available all over. In addition, your travel agent's representative could recommend a caterer doing hotel deliveries. At the Roz-e-Mubaarak do not stand with the arms folded at the navel as the authorities on duty will assume you are in Salaat whilst facing the Hujra! They will make all sorts of comments in Arabic to deter you from doing so and this can be quite embarrassing; thus just keep your arms hanging down by your sides. Similarly, when making Duaa at the Roz-e-Mubaarak, do not face the Hujra, as the authorities on duty will again assume that you are supplicating to our beloved Prophet, Muhammad, (Peace Be Upon Him). Thus after conveying the salaams, either turn towards the Qibla, (if possible in this mass of humanity), or better still, proceed to any other portion of the Haram in order to make Duaa. After Fajr/Ishraaq, one tends to go to sleep, only to get up for Zuhr Salaat. However, the period from Ishraaq till about 11.00 AM is also relatively quiet at the Roz-e-Mubaarak. (This time is also the ladies’ time at the Roz-e-Mubaarak, where they are screened off from the males). Of late, ladies' Ziyyaarat is becoming dangerous at times because of crowds. However, this seems to have been overcome recently by the authorities. They now group the ladies in specific nationalities either outside the Haram, (in the courtyard near the Central Area), or inside the Haram during the ladies' time. A female leader who speaks the group's language then instructs them before the guided tour begins. This Ziyaarat of the Roze Mubaarak is then conducted in a one way fashion through an artificially created maze of passages. 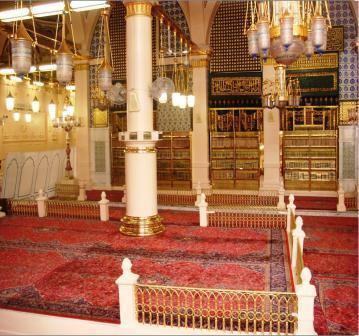 This tour is timed in such a way that there is minimal crowding at the Roze Mubaarak. The period after Zuhr, till about 3.00 PM / 3.30 PM is also a quiet period at the Roz-e-Mubaarak, as this is also the ladies’ time. (Ladies are not allowed at the Roz-e-Mubaarak apart from the three ladies’ times stipulated above). However, the ladies could give their salaams from outside the Haram Shareef during those times they are not allowed at the Roz-e-Mubaarak. Qur’aans neatly stacked in shelves according to size and different text. “Pakistani” version is stacked in the bottom left hand corner of the low shelves. These are usually dark-blue in colour but some dark-green ones have also been spotted. A number of copies of the Holy Qur'aan in Braille have been put at different places in the Masjid to help the blind. Azaan times are fixed and are displayed in the Haram at convenient places, with Tahajjud Azaan being one hour before Fajr Azaan. Jamaat times are neither displayed nor fixed. 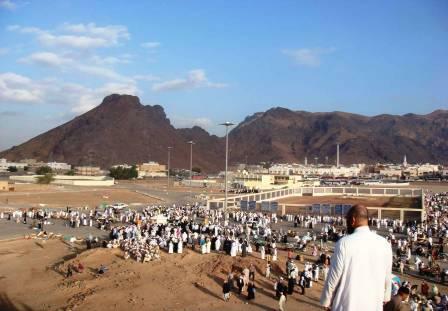 They vary from day to day and the time between Azaan and Jamaat gets shorter and shorter as Hajj approaches. Wall clocks display both Arabic time, (which is 00:00hrs. at Maghrib Azaan and 01:30hrs. at Esha Azaan), and also the time you are used to on your watches. Janaazaa Salaat is invariably announced, in Arabic, straight after Farz Salaat. You may not be able to determine whether this Salaat is for an immature boy, immature girl or an adult if you do not understand Arabic. Juma Zuhr Salaat can be very congested and exit time can be prolonged due to the throng of people. The rooftop is now open all the time during Hajj but one has to use the staircases not the escalator. The first Khutba on Juma is very lengthy, (about twenty five to thirty minutes), and the second one is usually only five to ten minutes! 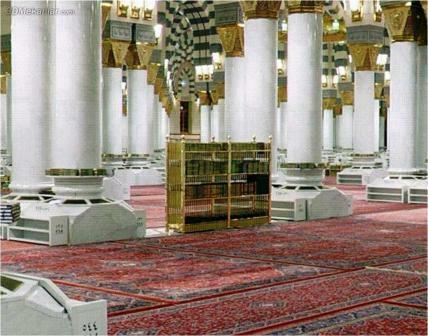 Water coolers, (iced and non-iced), of Zam Zam water dotted all over the Haram. Non-iced water coolers are marked with a blue Arabic writing. 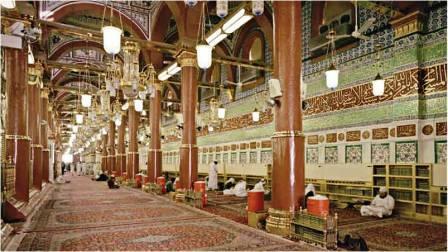 One can also fill up one’s container with Zam Zam water from the western section of the Haram near Door No 8. 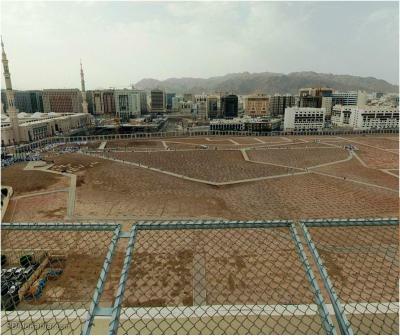 Jannatul Baqi opens for about an hour after Fajr, and for an hour after Asr, daily. Ladies are strictly forbidden here. It also opens whenever there is a Janazaa. Do most, if not all, of your shopping in Madinah, as it is very pleasant to do so and not as hectic as Makkah and it is much cooler. Ziyaarat guides, both English and Urdu speaking, available if you wish to go privately, at a fee. (This scenario may be applicable when you are unable to go with the group due to various reasons, e.g. wife not ceremonially pure as many of the places visited are Masaajid and the wife may not be able to enter these due to her condition). Make inquiries with your hotel reception. (Your package usually involves a pre-paid Ziyaarat). Do not be tempted to go for Ziyaarat on Fridays as you may miss your Juma Salaat in the Haram Shareef due to special traffic regulations effected only on Fridays. These regulations can result in massive traffic jams. There is a museum which opened recently and is very informative. This is known as the Marhazul Buhuth (Research Centre). Do not waste your time by going to the “DATES MARKET” to purchase dates at so-called “wholesale prices”, because when the taxi fare is incorporated into the total cost, you will realise that it would have been easier, quicker and cheaper to buy them from town stalls. Cargo facilities for dates, Mussallahs etc. are available at most hotels. Remember, do not cargo Zam Zam, as it tends to be intercepted in Saudi Arabia and you will lose your money. Try to secure accommodation in or around Taibah Residential Apartments as this is in the heart of the Central Area where the ladies' entrance to the Haram is conveniently situated, virtually no roads to cross, clean public ablution blocks for both genders very near and many essential services in and around this area. However, to get to the Roz-e-Mubaarak from here is quite a distance as you have to traverse the whole length of the Masjid to get to it. All your transportation would have been paid for in advance and arranged by your agent as per the new visa regulations. Should the need arise, you can arrange for your own transportation, either private air-conditioned coaches/buses/taxis/limousines or the buses operated by the Saudi Arabian Public Transport Company, (SAPTCO). 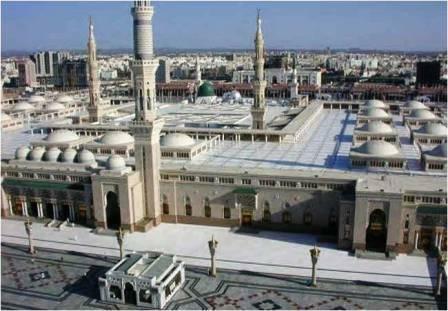 To locate the SAPTCO terminal, exit Masjid-e-Nabawi through the northern doors and you will be facing the “Central Area” which houses most of the new hotels. Turn left at the door and cross the street where there is a traffic light and a tunnel. The bus station is near this area. The “yellow cabs” have Saudi Arabian drivers who do not speak anything but Arabic. Their cabs are slightly cheaper than the white limousines and may not be air-conditioned or as new as the limousines. Fares are usually negotiable except for those departing from the airports. 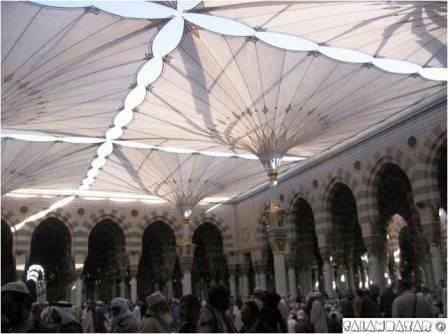 In Madinah, the routine changes similar to that found in Makkah, both for Ramadhaan and for Eid Day.